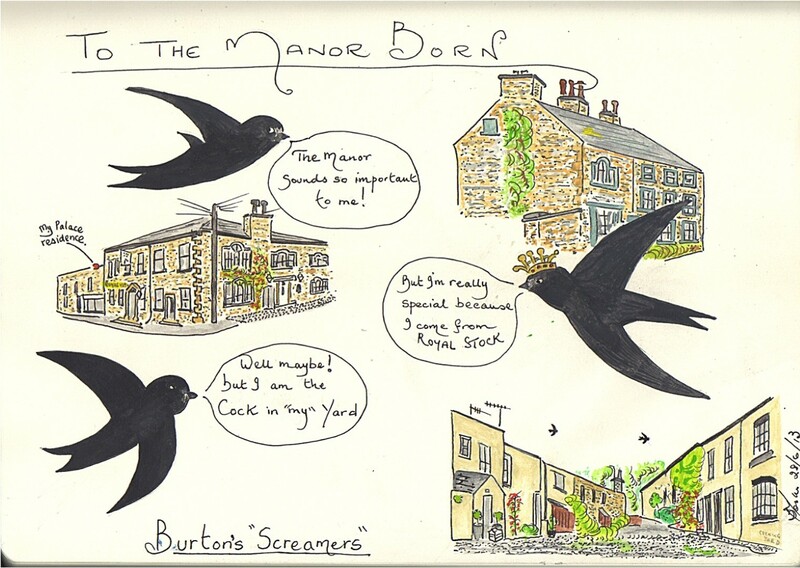 We never did find out why the Swifts were so late in arriving (May 16th 2013)! Good numbers of Small Tortoiseshell Butterflies and its really great to see they have finally made a come back after some ten years almost absent! a Orange Tip and several Speckled Woods. Also heard about three Blackcaps, four Chiffchaffs and a couple of Willow Warblers. Swallows and Martins hawking low over canal. Decided to check out the progress of the "Polygonatum odoratum" (Angular Solomon's Seal). The majority I checked out was about 3 weeks off although after saying that I actually did have a flower on one of the stems already (see photo below). Of interest today was another very special find, although it had been missed last year whilst checking out this particular area in Dalton Crags, because it was well hidden and protected down in the gryke. It was a Scolly! (Harts Tongue Fern), ( but not just any old scolly, it was another one of the "special" CRISPUMS which have the "Queen Anne ruff fluted edges" down both sides of the frond together with no "Sori" on the back of the frond. I have already had it checked out by my friend the "fern man himself! - Alec who confirms that it is another special one - which we must keep a check on this year to see what the outcome will be.. (can't wait..) for now here are some photos. also did manage to confirm another breeding area for the Goldcrest in Dalton Crags. At the moment I am still not getting any calls from our Dalton Crags Redstart and just not sure whether or not he has arrived, but I did cross over later on to the Dalton Hall Estate to check out the regular hotspots for the Redstarts, but only had one bird actually calling and this was from a new area. I am beginning to think we are still waiting for some of the birds to arrive. 0930hrs Only could see 3 birds today, and they were frightening to watch has they were almost touching the floor whilst following down the Main Street by only a couple of inches above the tarmac road and just has a car came in front of them they sort of went into a superquick vertical lift and over the car or wagon, but so dodgy to watch (shut eye and pray!) but they carried it out in a behaviour none other than a Swift could do! Had a Sedge Warbler in full song whilst on the Lancaster Canal between the Mosses and Tarn Lane. The Swifts are enjoying themselves this morning chasing one another around the Main Street. Later I could hear a Common Redstart calling from the properties which lie between Greenlands Farm and the Priest Hutton Road. Did not have my gps but will soon go back soon and confirm position. Can confirm also that I had two Cuckoos calling almost simultaneous from both Dalton Crags and another one far over at Burton Fell or beyond. These two together with the one reported from over on the Park Wood side means we probably now have three different calling birds. Not much coming from the Redstarts seem very quiet! Today was a pretty good flora day with first of the year for "Limestone Fern" and "Rigid Buckler Fern" (see photos), also a nice photo of the Common Milkwort and check out our old favourite the white Early Purple Orchid. And found for the first time on Burton Fell two clumps of the rare Birds Foot Sedge (Carex Ornithopodia). Friday 5th May 2017 - Regular checks for SWIFTS on Main Street, Burton in Kendal. 1730hrs: First arrivals with six Swifts hawking the skies above Main Street will have only just come back in within the last hours. Checked out at lunchtime and there were no birds in then. CUCKOO Had a couple of reports now, of the return of another Cuckoo being heard calling over the Park Wood/Rakes side of Hutton Roof. (Now two pairs on Hutton Roof). Recorded three Garden Warblers (2 of the regular sites) also a couple of singing Blackcap, Willow Warblers (several), Chiffchaff and all the more regular common birds. Did not have the regular Common Redstarts so need to visit again to check them out, and maybe a little early for the Spotted Flycatchers. It was very pleasing to see "Wood Avens" pretty much lining the route of our walk - never seen so many.